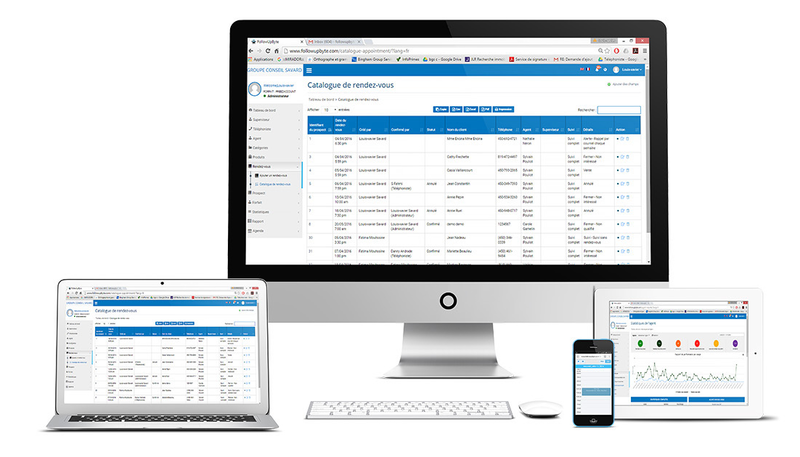 Track your sales representative’s appointments and your business performance in real time. Create accounts with different access rights, for all your collaborators: call centers, telemarketers or supervisors, they will be able to seamlessly follow the development of the activity. Develop your network with multiple companies, in order to efficiently manage your appointments and keep the control of the follow-up. Manage your business effectively and measure business performances with real-time statistics. Access the alarm system allowing you to identify sales representatives who do not follow the procedure in order to encourage them to respect the process. Working with multiple stakeholders in guaranteeing protection of information between the different intermediaries. No matter your industry, Followupbyte will help you improve your marketing, grow your revenue, develop customer loyalty and much more. Make the most of our agenda, designed specifically to meet the needs of a professional prospecting campaign, to import and export your Google and Outlook calendars. Optimize your results and reduce your workload thanks to our system which supports the entire monitoring process while avoiding any loss of information. MAXIMIZES YOUR RESULTS, SAVING YOU LOTS OF TIME AND BRINGS RIGOR IN YOUR BUSINESS MANAGEMENT. We agree: change is not easy. Follow Up Byte is the perfect tool for your business, try it today and pay only if you adopt it. Your current calendar can be imported or exported to and from Follow Up Byte with a single click. What package is for your company? 79.99	$ US / month by sales rep.
74.99	$ US / month by sales rep.
69.99	$ US / month by sales rep.